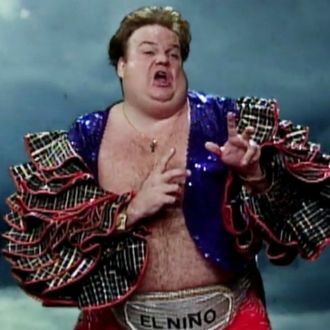 This year’s El Niño is a fully grown man. It’s already the studliest El Niño of the past 18 years. And on Thursday, NOAA said it expects “El Niño 2015” to be one of the strongest on record by the time it peaks. For New Yorkers, that will likely mean a gentler winter, as El Niño wraps its big burly arms around the Northeast, keeping us warm through what otherwise might be endless, cold nights. Like any great Latin lover, El Niño is an impenetrable mystery, yet still reliable. While scientists don’t know what makes El Niño bring its warmth to the central and eastern equatorial Pacific Oceans, they know that the weather pattern repeats every two to seven years. And on this year’s visit, El Niño looks like it knows exactly when it’s time to leave. According to NOAA, the equatorial warming is expected to weaken in the spring before disappearing altogether by early summer, letting us return to the comfort of our old, familiar weather patterns. Still, we can’t expect El Niño to save us. It is only one meteorological phenomenon, and as the Weather Channel hastens to point out, day-to-day variability in weather patterns can potentially overwhelm El Niño’s effects on our atmosphere. But for now we can take comfort in knowing El Niño is out there somewhere, heating up the Pacific Ocean and thinking about snuggling up with us — meteorologically speaking, of course.